Born in Busan, South Korea, artist Chul Hyun Ahn received his bachelor degree from the Fine Arts Department of the Chugye University of Arts in Seoul; he later pursued his academic studies in the United States graduating from the Maryland Institute College of Art in Baltimore as well as from the Mount Royal School. 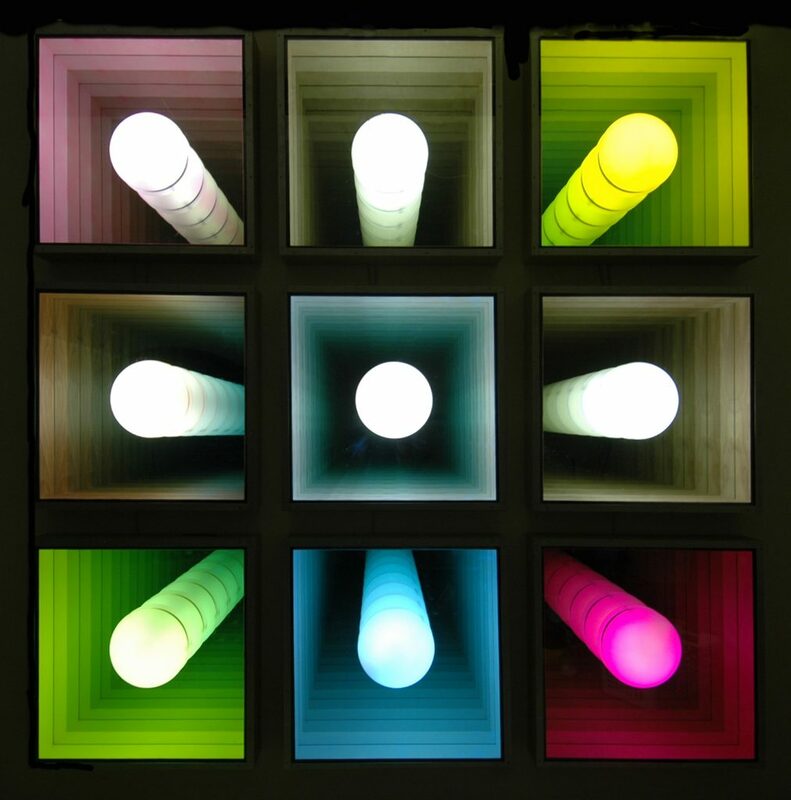 Chul Hyun Ahn’s creations explore infinity’s form, he uses mirrors, neon lights and other found objects in order to agitate his viewers. Intricate and sober compositions trick his spectators guiding them into unknown dimensions where bodily figures are transformed into ethereal matter. 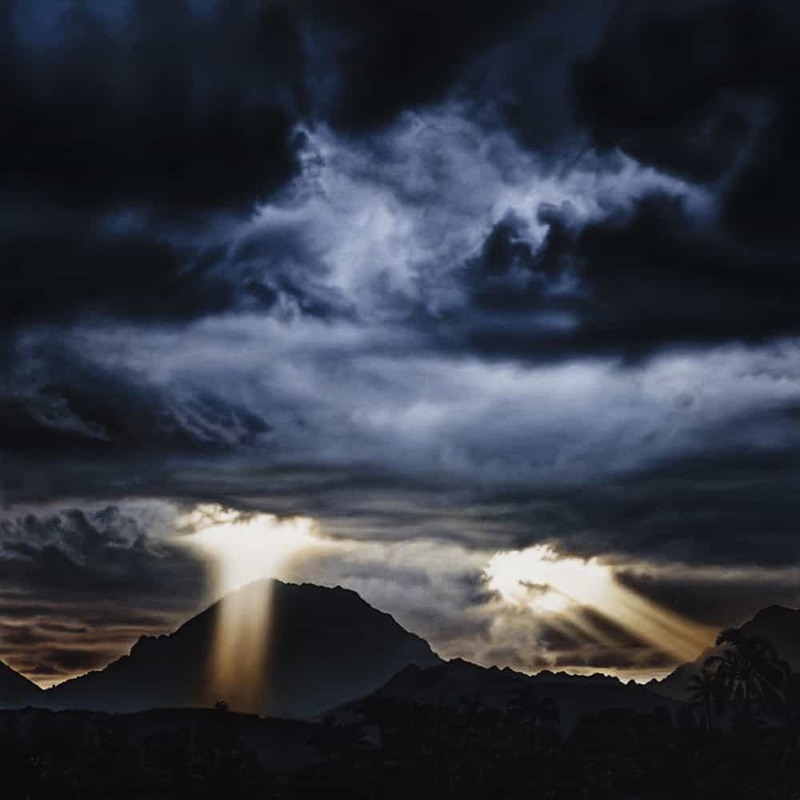 He has exhibited at numerous art fairs such as the KIAF in South Korea, ARCO Madrid; the Venice Biennale in 2013 and more. His first solo exhibition was at the C. Grimaldis Gallery in Baltimore in 2002 where he displayed his work Visual Echoes for the first time. His art pieces are found in collections like the American Society of Nephrology, Mr. & Mrs. Don Sanders private collection, the Borusan collection in Turkey, the Delaware Art Museum and Borusan Contemporary at Istanbul. 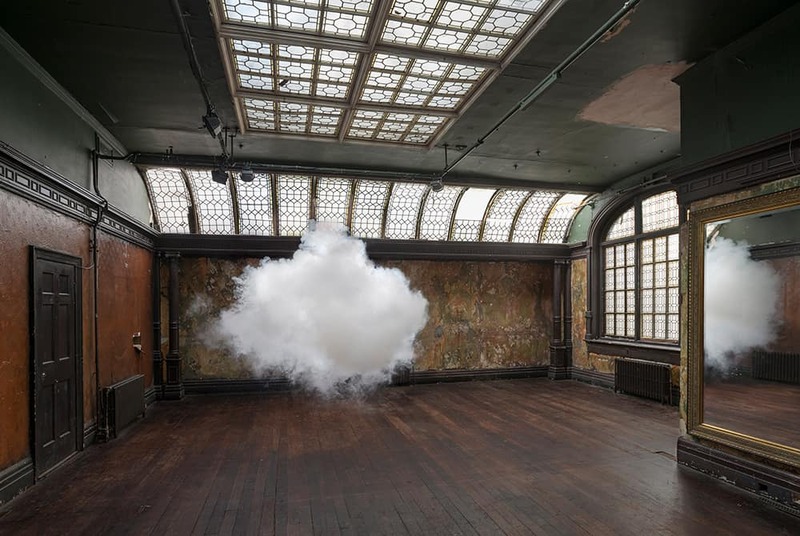 Dutch artist Berndnaut Smilde explores sacred architectures and day spaces through his photographs. Nimbus, his most acclaimed project until this day, is a series where he creates ephemeral interior clouds with vapor and a smoke machine. The phenomenon lasts no more than 20 seconds but it is kept alive through the photographic lens and its reproduction. His ephemeral sculptures emphasize time’s subjectivity and the dichotomy between lasting sculptural constructions and his transitory clouds. Smilde studied Fine Art at the Minerva Academy in Groningen, he also holds an MA from the Frank Mohr Institute. His works have been exhibited in art fairs such as Art Brussels, Bologna Art Fair, Amsterdam Art Fair and others. His first solo exhibition was held by the MOOT Gallery in Nottingham and since then his work has been showcased in Shanghai, Taipei, Washington, Lima and other cities around the globe. He took part in numerous residency programmes such as FORM in Western Australia, Irish Museum Residency of Modern Art, and so on. His work is part of the collection of the Smithsonian Museum in Washington, Saatchi Gallery, Cornell University collection, Frans Hals Museum and more. digital c-type print on aluminium, 125 x 186 cm, 75 x 112 cm. Primal emotions and human cycles are the nucleus of Anne Lindberg’s work. Her geometric and her thin brushstrokes are at the origin of colourful abstract canvases. Abstraction, according to the artist, represents “a strong impulse to speak from a deep place within herself about what is private, vulnerable, fragile, and perceptive to the human condition.” She graduated from the University of Miami and later received a Master in High Arts from the Cranbrook Academy of Art in Michigan. Her first solo exhibition was in 1990 at the Artemisa Gallery in Chicago. Moreover, she received several grants including the National Endowment for the Art Fellowship in 1993, the ArtsKC Fund Inspiration grant in 2008 and in 2009, the Lighton International Artist Exchange Grant in 2011 and many more. Her work is part of collections such as the Detroit Institute of Art, the Kemper Museum of Contemporary Art, the Federal Reserve of Kansas collection, International Shibori collection in Nagoya, Nevada Museum of Art, and other private collections. Lindberg works mainly with oil but she recently turned to the sculptural real and ever since continues to develop in this field. 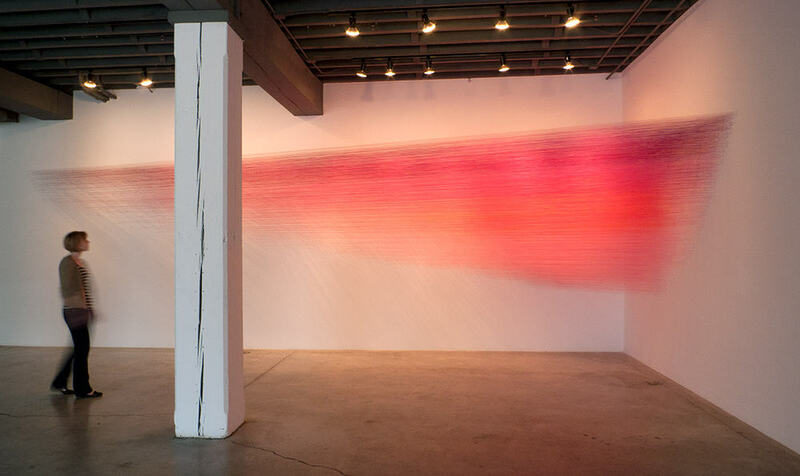 Drawn pink, 2012, Egyptian cotton head, staples, 35 by 6 by 10 feet. Damian Loeb is a self taught American painter. His realistic and suave images captivate the viewer’s attention, as the latter approaches the canvas, he realises that what is in front of him is not a photograph but a delicate painting. 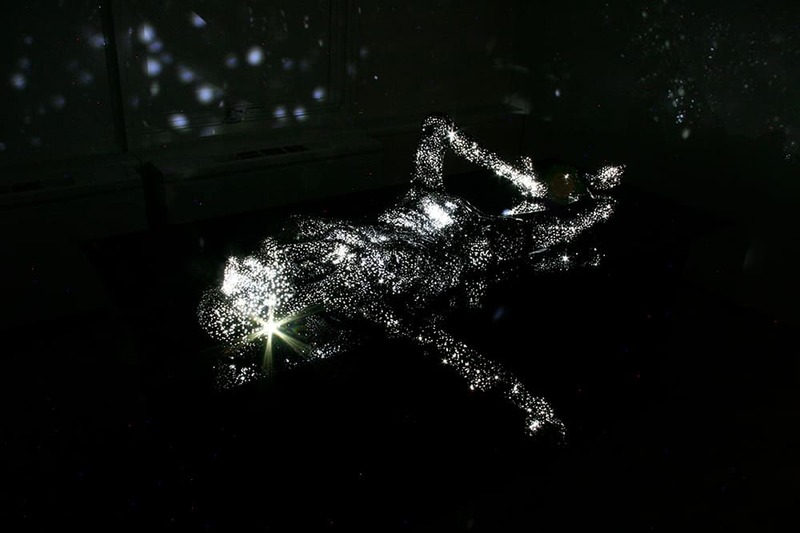 Intimate interiors, female bodies and galaxies are the painter’s favorite subjects. Light’s precision and reflection renders his oil paintings incredibly vivid, painting these images enables him to “find ways to compose and capture (…) very specific personal still life.” Loeb’s first solo gallery show was in 1999 at the Mary Boone Gallery, he has continued to exhibit in galleries and museums such as the Kunsthalle in Hamburg, at the Aldrich Museum of Contemporary Art in Connecticut, at the White Cube Gallery in London and more. Mihoko Ogaki is a female artist born in Toyama, Japan, her artistic practice ponders on metaphysical, ontological and cosmic subjects. Her series Milky Ways, constituted by a luminescent sculpture shining from within, projects its interior light to the rest of the room. The piece’s role seems to question our species origin and to demonstrate our relationship with the rest of the universe. Ogaki studied at the Aichi University of Fine Art and Music graduating from the oil painting course and she also studied sculpture at the Kunstakademie of Düsseldorf. Her first solo exhibition was in 2006 at the Galerie Voss in Düsseldorg. Ever since the beginning of her artistic career, she has won several prizes such as the first prize in the Art Bank Award of 2008 and the Audience’s Prize at the Baden Museum in 2003. She has also won scholarships given by the Prime Minister of Westphalia and the Düsseldorf culture department. installation view, FRP, LED with dimmer, 190.5 x 107 x 108 cm.